A good-quality Ethernet cable is a must thing for a lag-free and frustration-free gaming, especially if you are playing heavy games on the consoles like PlayStation 4. Today, we will look at the most sought Ethernet cables for PS4. Many gamers don’t check the category of the cable and thus end with buying a relatively slower Ethernet cord against their network bandwidth. The most common types of Ethernet cables are Cat5, Cat6, and Cat7. 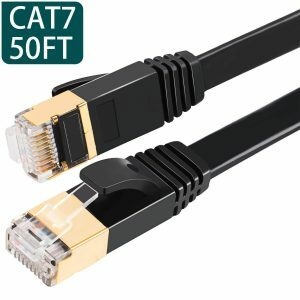 While Cat5 is suitable for most of the medium bandwidth games, if you are mostly playing multi-player online games and even download large files, then you can opt for the Cat6 or Cat7 Ethernet. 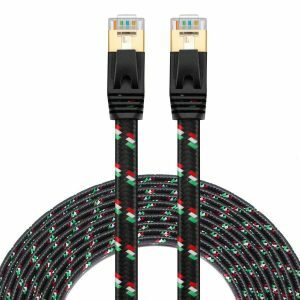 I have listed the top Cat7, Cat6, and Cat5 Ethernet wires that can enhance the gaming experience on PlayStation and other gaming consoles. Let’s check them below. This Category7 Ethernet cable will provide enough speed and reliability for enjoying the game-play on your device. As this cable comes with the newest standard of the networks, it will give an advantage of excellent connectivity throughout. 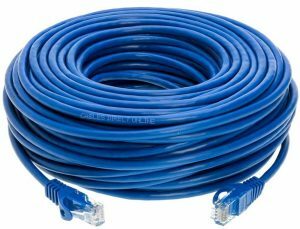 This wire has a length of 5 meters which is enough for setting up a gaming network at a fair distance. Due to its Cat7 shielded patch lead, it will allow you to enjoy the high-definition video playing, data transfer, and high-end online gaming. It is ideal for gaming consoles like PS4, PS3, X-Box, etc. as well as networking devices such as routers, modems, hubs, adapters, printers, etc. At each end of the cable, there is an RJ45 connector which means there will be no compromise for the connectivity and optimum speed of the network. The additional shielding on the cable will reduce the noise disturbance, crosstalk, and any interference in the signal passing. 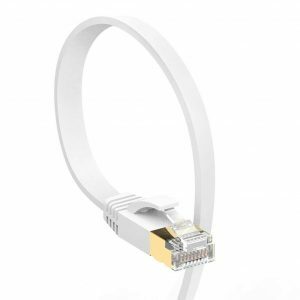 This DEEGO Ethernet wire will provide full compatibility to your home and office network requirements. Its flat design makes it more flexible and tidy compared to the round Ethernet cables. You can use this cord to any device coming with the Ethernet compatibility. The bare copper wire construction of the cable will provide enough flexibility and connectivity strength. It has eight contact pins made of copper at each end to offer excellent protection against interference, crosstalk, and noise. Due to the flat design, you can run this cable under the carpet or bent in the cross-section areas like drawers, doors, etc. It will help to save more space than any other type of network cables. 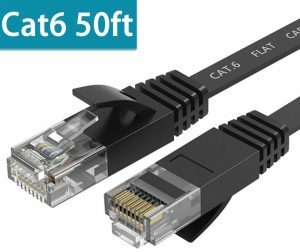 It is backwardly compatible with Cat5e, Cat5, and Cat6a types of connectors. It supports devices like PS3, PS4, Xbox, Xbox-360, printers, security cameras, hubs, routers, modems, PC, cable TV, VoIP phones, etc. The soft grade outer PVC material helps you to save the environment and to get a durable operation at the same time. For MATEIN, quality is everything, and they had provided that in this Cat7 network patch cable. It has the universal compatibility and offers excellent support to the LAN (Local Area Network) in your home or office. It will provide an ultra-fast, uninterrupted, and reliable network connections between your devices anytime, anywhere. The bare copper wire material has a higher conductivity and strength than the Copper Clad Aluminum (CCA) and aluminum. Its flat and easy hiding construction allows you to run it under the carpet or through the doors to save the space. This UTP (Unshielded Twisted Pair) cable is backwardly compatible with the Cat5e, Cat5, and Cat6 Ethernet cords. You can use it both indoors and outdoors with the assurance for the reliable performance from the company. It is ideal for high-end game playing on PS4 like consoles, cloud computing, live HD video streaming, video surveillance, and many other applications. In the package, you will also get 20 cable clips Free for easy installation of the network. 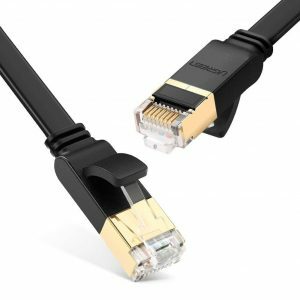 This UGREEN Cat7 network patch cable provides ten times faster transfer speeds than the next best Cat6 Ethernet wires due to the support of the 10BASE-T standard. Its sturdy yet flexible build allows you to use it with a wide range of applications and in tighter spaces. 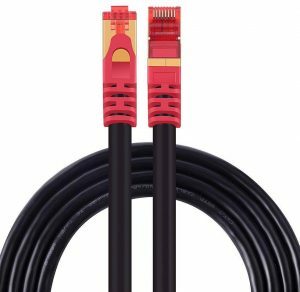 This high-performance cable is compatible with the PS4, PS3, Xbox, Xbox 360, Ethernet switch, router, hub, modem, and many other networking devices. At each end of the cable, there is a 24K gold-plated connector to ensure a reliable and secure connection always. There are different sizes available for this cable which lets you choose the right length according to your setup needs. Its neat and clean flat design allows you to use in little spaces like through the carpet or door. The RJ45 connector has a clip protector which will keep the unwanted snags away. You will get a one-year warranty and a lifetime customer support from the company. The Category5e Ethernet from Cables Direct Online is one of the most used cables for the Internet. You will get a reliable and secure speed every time you connect your device with the network with the help of this wire. The RJ-45 50-micron gold plated connectors ensure a bright and clean transfer of data always. You can use it with the 10 Base-T and 100 Base-T networks without any inconvenience. It is ideal for gaming consoles like PS4, PS3, Xbox, etc. as well as routers, modems, laptops, hubs, Ethernet switches, security cameras, and more. This network patch cable has enough length to fulfill any network distance requirement. It has a vinyl coated Copper Clad Aluminum (CCA) structure which provides excellent performance in your Ethernet gaming needs. This premium quality networking cable for gaming is one of the most recommended products by the experts in the field. Due to its Cat7 specifications and affordability, it is one of the best PS4 Ethernet cables in the market today. It comes with a tangle-free design with a woven nylon braid sleeve to deliver a durable and reliable performance. This cord is ideal for any Gigabit LAN (Local Area Network) setup needs due to the Cat7 hardware features. It contains gold plated RJ-45 connectors and STP (Shielded Twisted Pair) cables to prevent RFI interference and to provide lag-free streaming and game playing. Apart from the PS4, you can also use it with the other gaming consoles, routers, PC, hubs, switches, modems, printers, VoIP phones, etc. It is backwardly compatible with the Cat6, Cat6a, and Cat5e Ethernet wires. You will get a 90-day money-back guarantee from the company to have a hassle-free purchase. Get the lag-free gaming experience on your PS4 gaming console with the help of this top-quality Ethernet from ShineKee. Due to the Category7 specifications, it will not allow you to regret your purchase. It comes with a plug-and-play functionality, so you do not need to install anything for using it. 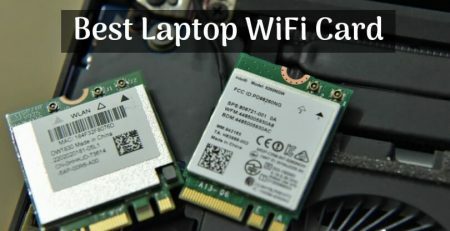 You can connect it with various devices like PS4, PS3, Xbox, router, modem, switch, hub, printer, PC, laptop, twisted-pair applications, and many more. At each end of the cable, there is an RJ45 connector which ensures the faster and secure connection always. It is made with four STP (Shielded Twisted Pair) copper wires to provide extra shielding and signal quality compared to the Category6 or Category5 cables. You can use it in both, indoors and outdoors. The price of an Ethernet cable may not be too high to break your pockets. However, any amount you spend on it is a hard earned money, and you are paying it for a purpose. So, it is advisable to check a few things before purchasing an Ethernet for your gaming needs. Compatibility: Check the compatibility of the Ethernet cord to the device you will be using with it. 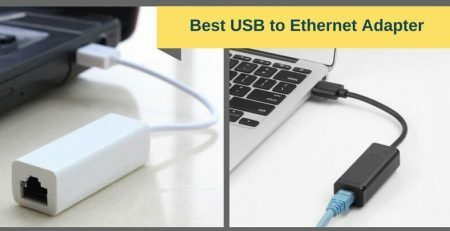 Look for the Ethernet cables that are made from the Original Equipment Provider (OEM) as they work with almost all the Ethernet compatible systems. Category: As I mentioned earlier, different types of Ethernet have different bandwidth support and transfer speeds. While Cat5 (Cat3 fell out of favor today) has the lowest speeds and data transfer rates, the Cat7 is the fastest among all. Depending on the category, the Ethernet cord has different capabilities of resisting against cross talk, noise, and signal interference too. So, choose the class of the cable depending on the network quality and your speed requirements. Length: Length of the cable is an essential factor to consider. Many brands provide you options for choosing the desired length of the wire while buying. It should be long enough to let you set up the network comfortably. Check the distance between your gaming console and the other appliance and then pick up the right length of the cable. If you don’t select the right type of the Ethernet for your gaming needs, then you may have to face some frustrating connection issues and lag. So, it is vital to check all the things and opt for the most suitable network cord for your PS4 gaming console. All the cables reviewed here are suitable for PS4 gaming. Which one will you choose for your console? You can share your thoughts in the comment section.